Let's just say, there's a reason I didn't write about them in that first Weekly Note on Judging. It's because I didn't think about them. Why would I? They are useless. So I never use them, I never teach anyone to use them and therefore, I never think about them. So what if a couple is violated? It never affects their placing. Oh, I've heard of the random contest where a violation moved a couple down one placing, but I've also heard that the event director freaks and makes them put the couple back up. How corrupt is that? It's a joke. So why should any judge bother violating anyone? It just puts a huge target on their back. A violation punishes the judge, not the couple. The cost just doesn't outweigh the benefit. And violating for Swing Content? Come on. That's like saying "hey, you did a Waltz in a Cha Cha competition, but we'll just violate you and give you your trophy anyhow." Huh? Yeah. I like my method of Judging much much more. It's much cleaner, much easier to understand and it makes sense. Could violations have a place in our system? Maybe. Violate for too many drops, a lift when it's not showcase... okay. But it has to knock the couple out of the Top 5 at least. Why violate if there aren't any consequences? a standard that no one, no how, is exempt from. And that includes names. It's worthless and fruitless and ticks people off instead of making them change their routines. The fact of the matter is that I've been competing long enough in WCS to see our violations do absolutely nothing worthwhile and edifying in our community. A bark without bite, because the leadership is too scared to make a violation stick. But maybe I'll shake things up one day and smack down a 'D' instead. That's right. If I had my own little dreamworld, I would have the freedom as a judge to Disqualify a couple. Especially for doing a different dance... Abstract, Zouk, N2S... anything more than Swing. I would like this freedom. I think it's fair. Do the dance you signed up to do already. And I'd certainly like to Disqualify certain behavior. Cruel, unethical, pornographic and other downright wrong things are happening out there now, and though the audience nervously giggles when it happens, it would be nice if we, as judges, had the ability to lay down consequences to discourage such behavior. But its not my little dream world. Our system doesn't have Disqualifications. When I have a clipboard, they want numbers next to every name on it, so that's why I've developed my new Judging method. And it's a system that works. And I enjoy judging again. It's become much easier to do, and I can easily explain every single one of my scores, like I used to do before we had a variety of dances on our swing floors. 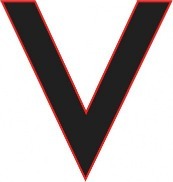 Judges, ditch the 'V''s and drop them in your scores on your own. Recently Nick and I had a brush with death. It was a bright, stark and quick striking force into our reality. I used to be a fan of certain psychology-focused crime dramas. I have a very difficult time watching them anymore. 'Creepy' actors and daunting music aside, I'm finding that the settings and surroundings are much too familiar now. Television has those down cold. For us it was a dark section of road in the mountains. Oh, so cliche, I know. But I would give anything, and I mean anything, to take that night back. It was a narrow miss. I count it as a pivotal point in our lives. A pure and very clear... miracle. And as we feebly made our way home, through my shaking and sobs and cold cold shivers of terror, the lessons we learned in The Gift of Fear: Survival Signals That Protect Us From Violence came unfolding, unrolling, endlessly before us. Snippet after snippet of his words, of his warnings and of his examples... one by one they came spinning at us. But this time each snippet helped place each piece of the memory puzzle. Click. Snap. Together they came. And as we pulled up to our home, the whole picture lay before us. And we couldn't get out of the car. We were terrified to step outside its protective shield and into a now-new and terrifyingly unsafe world. I won't lie. Sleepless nights and harrowing processing followed. But I remember very clearly thinking one thing over and over: I must tell my readers. Because anyone in my family would have been gone. They wouldn't have made it out of the canyon alive. The trap was too well planned, too believable... and in our family we were taught to be selfless... to be so "nice," especially to those others knew to avoid. And it was almost our undoing. How is that even possible? Nick and I are pretty well-traveled. I mean, we've traveled almost every highway in the entire United States. We've taken a million backroads. We've seen much. We've seen more than most. We've been in crazy scary situations before, but the only thing, and I mean the ONLY thing that helped us at all in this situation was this book. I don't care if you get the audio version. That's what Nick and I used to go through it, during all of our travels. Or get the e-book, or get the paperback on Amazon.com. I don't care. You need to get it. No matter where you live. Violence does not discriminate against color, nationality or region. In short, it's written by a man who developed the leading method of threat assessment (threats of violence against members of congress, our president, supreme court judges, etc) for the FBI, CIA as well as other agencies and companies. Even Oprah hails him as one to heed. Thankfully, he wrote a book for the rest of us, helping us to understand the signs that may save our lives. We'd heard of it, but never bothered with it until two people gave it to us as a gift... on the same weekend. Thank God. Charm is not an adjective. A verb. That's right. Someone "charms" you. It is done intentionally. It is done with purpose. It is done to you. And, as he says in the book, it is done to get something from you. Think about it. Who do you know that's selflessly charming to everyone, all the time without expecting anything in return... You wouldn't exactly call them 'charming,' right? For example, I've been called bright, energetic, joyful, happy and by three separate people in the last month... "a real firecracker." But I've never been called charming. But boy do we ever have a lot of charmers out there, don't we? Haven't you noticed? Hear the names racing off in your head? Yes. And it's used to get what the charmer wants... not what you want. On that dark horrid little section of road in the Santa Monica mountains, it was the "charmer" who trapped us. He was so convincing... heck, he even had a little puppy with him... the memory makes me ill. Because it was all too easy. We, world travelers and unfearing truth seekers, were used to so much more charm in our community, that we almost fell for this one. Please, please do yourself a favor. 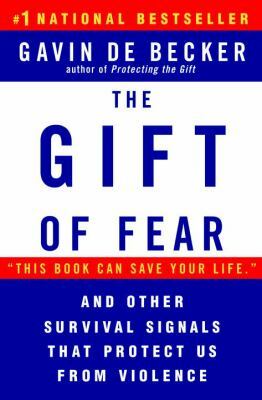 Read, listen or "Kindle" the Gift of Fear. Don't let Prince Charming fool you. Click here to order your own copy or version of Gift of Fear. I am not affiliated with Gift of Fear in any way. The Tenets of Swing is part of the collection of groundbreaking articles found in Telling the Truth, available in both print and Kindle. Grab your copy today on Amazon.com. The saying "Swing is Swing" has wreaked some havoc on our community. In 2009's US Open 7 out of 10 Classic Division finalists were violated for swing content. The US Open, instead of taking a stand, wiped their judging slate clean and hired all new judges. Unfortunately, all of these "newer" judges had definite ties to each of the repeat finalists. And just to be sure, they picked a completely new scrutineer - a name-dropper with absolutely no spine... and of course, as expected, gave no violations himself. But when the 2010 US Open took place, several of the new judges, who weren't used to judging for the Open, were extremely concerned with what they'd seen on the floor. NO ONE had swing, of all 30+ couples, except for a tiny little handful. And I do mean tiny. So in the scoring room they asked, "What do we do about swing content??? Do you want us to leave non-swing out of finals... or in... or???" And Jack Carey's response was, with a big wave of his hand, "Swing is Swing," meaning... it's all swing. Keep putting my people in. Because none of them had done a lick of swing that year. I came to find out just a few months later that Jack Carey was complaining about the competition floors - saying that he had no clue what he was watching anymore. He thought none of it was recognizable. So. Swing really is swing. Unless it isn't. I have no idea why he is using the term "swing is swing" to do it, but he has used it to wipe out any definition of swing whatsoever lately. I don't just mean West Coast Swing. I cover that in West Coast Swing Essentials. I mean, what is it that makes a dance a "swing" dance, instead of a latin, smooth or folk dance? I began thinking. And I thought about all forms of swing... Balboa, Shag, Lindy, East Coast, West Coast... all of them. And the more I studied, the more inventors I interviewed, the more legends I talked with and the more videos I watched (oh! the enormous amount of videos I watched! ), the more settled I became upon the following points below. Once I had them, they locked in. I see them everywhere. No matter who I talked to, watch or see - they stand the test of swing. I call them The Tenets of Swing©. It may sound obvious, but a slew of teachers worldwide are telling students to "improvise" and "suggest" instead of actually leading and following. All swing patterns, no matter what form of swing you're dancing, require a leader who decides what moves take place and when, and a follower, who is responsible for following these leads. The different styles of swing have different types of orbits. Some have a circular orbit, some have a slotted orbit and some orbit in a nice tiny square. But any way you slice it, the man navigates the women around himself in some form of an orbit. Click here to see a video of the variety of swing orbits. Rock steps, kicks, heel-toe action, shuffles, slides... oh my! You'll never see anyone call swing dancers "lethargic" will you? Nope. All the dances have quite a bit of energy, because they all require quite a bit of footwork. Every style has a totally different kind of footwork, but none of the styles are without it. If you have studied any of the ballroom dances, you'll know that they are all almost exclusively comprised of Single and Double Rhythms (Slows and Quick Quicks, etc, etc). Not so with the swing dances. On the whole they are comprised of rather complicated rhythms. The dancers are still on top and active on the bottom. In swing, it's the feet that do the talking. I've said it before and I'll say it again: swing music, no matter what style you're dancing, will make you "check in." It makes you alive. It makes you want to live. To expand. To get out of your seat! Some forms of swing celebrate passion and some forms of swing celebrate life... but either way, it makes you feel brighter. It highlights the good things in life. It's not dark. It's not depressing. It's not degrading and it's most definitely not designed to make you "check out." I saw a routine recently that was so sad that it made you want to cry... and I felt my bones breaking a little. Swing shouldn't make anyone cry. Swing makes you... SWING! And there you go! They've been in my head for six months now, and the more I study our history and watch our videos, I can see them all... over and over again... throughout the decades. We are a passionate people, we swing dancers. But I believe that true swing dancing brings out the best in us... and when it brings out the worst, then perhaps the dance has lost it's way. Let's start listening to our music again, and seeing if it really makes us want to live, to expand, to grow and to move... and let's look down at our feet and rediscover what they are made for... and let's rediscover the joy of true leading and true following. Let's rediscover... swing. All of it. Far and wide. And let us, when we can, enjoy celebrating it together. It certainly deserves at least that much. New! West Coast Swing Video Page! I am so excited! Students have been requesting a page like this for the last two years now. You can't just type "West Coast Swing" into a search engine anymore. The majority of videos you get will be, at worst, Abstract Improvisation or at best, messy split weight swing. And that gets really old after a while. So you've been asking... where can I just find pure swing... and nothing else? Well, it's finally here! Underneath this Blog's header are some pages: Home, Weekly Notes, Articles, Contact... and now... VIDEOS! So far I have 55 videos on there, and I'll just keep adding them as you send them to me or as I remember ones I've forgotten. My YouTube Channel is great for when I post educational materials and videos that have never been on the web before, but this page is different. You can click on any video from any year and it will be swing. But don't make that fatal mistake- don't assume that because a certain "name" is featured, that they teach real swing. A lot of them don't anymore. So just enjoy the performances for what they are- good swing performances. Some are better than others, and the styles have a huge range. Good WCS has always had a huge variety of styles, but as you'll see... they ALL follow the WCSwing Essentials. So have some fun and be sure to share with your friends!!! Click here to go straight to the new video page! I can't believe it's been only one year since I released my very first article, The Nissy. Wow. I can't help but notice that this is the very first topic I wrote on. I've written on so many topics since, but The Nissies needed to be addressed first for me. I'm learning that the fight against bullying, intimidation and arrogance without regard to consequences is a true calling for me. I've been fighting against this kind of abuse for years. I've seen clips of the new movie, "Bully," and I was horrified. When I was working in the public school system, I immediately nipped every sign of bullying in the bud. It's not difficult, especially with kids. And yet, no one in authority even remotely lifted a finger against it. Read "What I Could Do Without: The Nissy." Nissies are the worst of the bullies, because they are charming, wonderful and fun when things are going their way... when people don't question, don't think for themselves and stay submissive and/ or worshipful no matter what. Their true colors are only revealed when someone disagrees with them, when they believe their perfection is being questioned... when they feel their power is threatened in any way shape or form. When that happens, they turn instantly... the anger overflows and bursts in misguided and abusive cruelty. Anyone and everyone can be a target. WCS caved into bullies in the late 90's and we have paid the price every since. It's my hope and dream that the clubs and newcomers in our shaky WCS community will heed this quote and hold their ground when the Nissies come knocking. Because they will. They most definitely will. Take courage and take a stand early. It will save you so much pain, drama and energy... that energy should be fully invested on the dance floor, yes? Yes! click here to sign up for my FREE Weekly WCS Notes! Enjoy joining over 42 countries (and counting!) and thousands of readers, just like you!